Your day-by-day itinerary now includes Lone Star Geyser. Take a break from the city and head to Fort Yellowstone Historic District and Lamar Valley. Deepen your sense of the past at sights like Beaver Ponds Loop Trail and S Rim Trail. Spend the 24th (Wed) exploring nature at Fairy Falls. Spend the 20th (Sat) exploring nature at Yellowstone National Park. 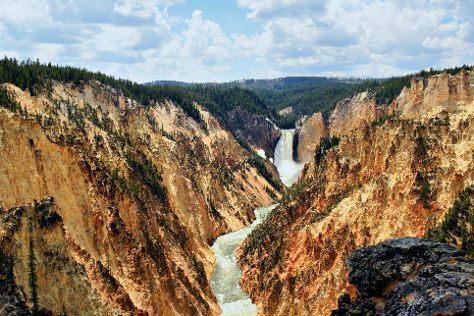 There's still lots to do: take in breathtaking views at Grand Canyon of the Yellowstone, explore the striking landscape of Aurum Geyser, take in the awesome beauty at Elephant Back Mountain, and look for all kinds of wild species at Old Gardiner Road. To find reviews and more tourist information, read our Yellowstone National Park journey planning tool . Use the Route module to see travel options from your home to Yellowstone National Park. April in Yellowstone National Park sees daily highs of 42°F and lows of 17°F at night. Wrap up your sightseeing on the 29th (Mon) to allow time to drive to Jackson Hole. Your day-by-day itinerary now includes Teton Raptor Center. Kick off your visit on the 30th (Tue): identify plant and animal life at Teton Raptor Center and then take in the awesome beauty at Grand Teton. 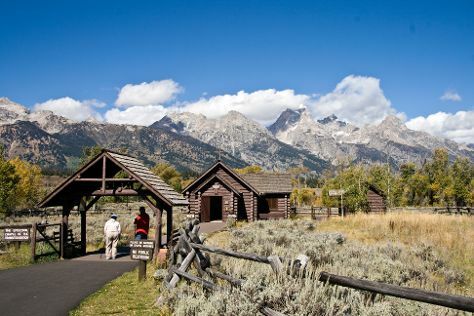 On the 1st (Wed), you'll have a packed day of sightseeing: take in the architecture and atmosphere at Our Lady Of The Mountains, then take in the spiritual surroundings of Chapel of the Transfiguration, then contemplate the long history of Mormon Row Historic District, and finally contemplate the waterfront views at Teton Point Turnout. To find where to stay, traveler tips, maps, and other tourist information, read our Jackson Hole travel route builder app . Traveling by car from Yellowstone National Park to Jackson Hole takes 2 hours. In April, Jackson Hole is somewhat warmer than Yellowstone National Park - with highs of 48°F and lows of 26°F. On the 2nd (Thu), wrap the sightseeing up by early afternoon so you can drive back home.